Here’s an arithmetical problem for City analysts. Why don’t marketing services group Havas’ splendid Quarter 3 figures actually add up properly? First, a bit of background. Agency holding company performance has continued in strong recovery mode, despite the rest of the world economy going to blazes. Organic growth, which is seen as the purest underlying growth indicator because it strips out acquisitions, has been particularly vigorous at Aegis, which has just reported a Q3 surge of over 11%. But Interpublic, Publicis Groupe and Omnicom have all reported sparkling figures, with WPP trailing among the big boys on a still respectable 4.9%. 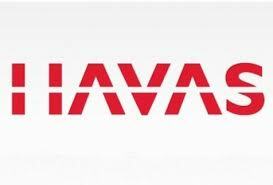 Havas delivered its best quarterly sales in 3 years, beating analysts expectations, with a sterling like-for-like (ie organic) growth rate of 7.3%, thanks to strong performance in North America, Asia and Latin America. Not unnaturally, the Havas share price surged on publication of these figures. I have no doubt that Havas did indeed perform very well. The trouble is, the regional figures broken out in Havas’ own analysis, when added up and averaged, don’t hit 7.3%. They reach nearly 6.4%. Let’s get technical for a moment. The method used, so far as I know, by all parent companies for arriving at a global organic growth figure is to multiply the share of each region by that region’s growth rate and then add up the resulting figures to give a global total. In Havas’ case the declared figures are as follows. Europe, 51.6% (ie 0.516 of the whole), growing at 1.8%, gives us a figure of 0.93%; North America, 34.5% at 8.2%, gives us 2.83%; and Rest of World, 13.9% at 18.7%, gives us 2.6%. Now add up 0.93%, 2.83% and 2.6%. You get 6.36%, which rounds up to 6.4%. Not 7.3%. Which is quite a difference when it comes to investors assessing the future performance of a company and making their bets accordingly. 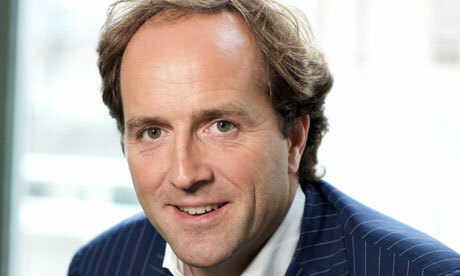 My question is: where has the rest of Havas’ growth come from? Answers in my mailbox please. Curiouser and curiouser. Almost all the big battalions in marketing services have now reported their Quarter One financial results. Without exception they mirror the upbeat performance curve of Omnicom, the first out last week. Which is in bizarre contra-distinction to the gloomy outpouring of the Bellwether Report I commented on earlier. No need for too much fact-grubbing here. Just look at the organic growth of the big agency groups. Publicis Groupe (6.5%), Havas (6.8%) and WPP (6.7%) easily coasted past Omnicom’s already impressive 5.2% global figure. Only Interpublic lagged – and even so achieved a creditable upturn of nearly 5%. So what, you say? All this shows is a startling outperformance in emerging economies such as China, India and those of Latin America. Which is concealing lacklustre results in doldrums Europe – and particularly the UK. Not exactly. True, the emerging markets are flattering overall performance. But when you look at the UK, you wouldn’t believe the economy is flat-lining at all. While no one else has achieved Omnicom’s astonishing UK organic growth rate of 9%, the general results are pretty impressive. At the bottom were Publicis, with 2.4%, and Havas (2.5%). Much more significant was WPP’s performance. WPP, now the world’s largest marketing services group, still derives 12% of its global revenue from the UK and managed to extract 7.7% organic growth. What’s more WPP chief Sir Martin Sorrell is cautiously optimistic about the prospects for 2011 and 2012. A more reliable index of Sorrell’s growing confidence is the fact that he has slipped the self-imposed £100m corset off WPP acquisitions; although he does caution the next one will “only” be about £200m. That is, the size of last year’s biggest – Mitchell Communications, which was acquired by Aegis Group. So what’s with the Bellwether’s pessimism? UK marketing managers really should sip the glass half-full. There’s every reason to suppose it won’t poison them. 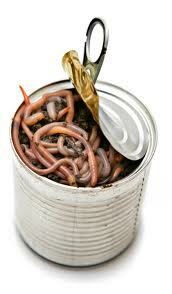 Will Ofcom media-buying probe lift the lid on a can of worms? Good luck to Ofcom as it attempts to prise the lid off the £3.5bn TV media-buying market and explore the wriggling multi-form life within. It really is a can of worms, and one most people in the business, most of the time, would prefer to keep firmly closed. Their motives differ. Clients, despite the high-minded calls coming from their trade body ISBA for greater industry transparency, tend to find the subject stultifyingly boring. One indefensible reason for this is their personal unwillingness, or inability, to grasp the Byzantine complexities of the trading system. You might as well ask them to brush up their Latin as describe in detail the iniquities of media-owner rebates. More pragmatically, they argue they have better things to do with their time – such as steering the strategy of their brands. Media negotiation is a matter for experts (on all sides) who understand the language, is it not? All you need to do is put a lesser amount on the table every year, screw down the terms with your agency even further, and get an auditor to establish that, at the year end, you have achieved still greater value for money (spuriously expressed in “media currency” terms, not ROI) than the year before. If you haven’t, well maybe it’s time to fire your agency. Media owners and agencies, on the other hand, are intimately aware of distortions in the system caused by such recondite issues as “pooled buying”, “agency deals” and “rebates”. And so they should be: these distortions, and the cloud-cover (or lack of transparency to the outsider and the regulator) that accompanies them, are what allow them to game the system. Would a more open system be more effective than the present regime, for all its imperfections? Not necessarily. Better regulation does not inexorably lead to better business. The fundamental criticism of the current system is that ads/spots end up going to the media owner who offers the best agency incentive rather the best fit for the client’s brand. The fundamental problem facing any reformer attempting to redress the balance is agency remuneration. It might seem that media-buying agencies are in an incredibly powerful position. Indeed, in some ways they are. Ten buyers owned by six international agency groups – WPP, Publicis Groupe, Omnicom, IPG, Aegis and Havas – are responsible for about 80% of the money spent on UK commercial television. A comparable oligopoly dominates press, magazine and (under the guise of agency specialists), outdoor buying. The concentration of their market power is now, arguably, greater than that of the clients they serve, or the media owners they negotiate with. Not surprisingly, these media buying groups are critical to the profitability of the agency groups that own them. As a recent article in The Guardian pointed out, something like £43bn a year passes through WPP alone (admittedly the largest global operator) on its way to media owners – which is more than the GDP of Ecuador. The treasury and cash-flow advantages cannot be overestimated. Equally, let’s not forget profitability. A media buying house on song has an operating margin of up to 25% which, given the scale of its operations, makes it the single most important component in any of the big agency groups. But with power comes a surprising vulnerability. When agency network bosses promise their shareholders – as they do every year – enhanced performance, the first place they come looking for it is in their media-buying cash cows. Yet that profitability is built on foundations of sand. The days of 5% commission are long since gone; the equivalent of 2-2.5% would now be nearer the mark, as client procurement tightens the noose. And then there are complications, like a part of the deal being based on payment by results. The net result is greater reliance on financial compensation from the media owner: in effect, the use or abuse of market power to screw down the ratecard. Most notorious of these Spanish practices is the discount, and the easiest way of looking at how it operates is with national newspapers. Agency media buyers are bonused on achieving a set reduction (10% for argument’s sake) not from the ratecard itself, but from the per page mean figure of all titles established in the last audit. Clearly it’s easier to negotiate a discount with a weaker player. The danger, from the client’s point of view, is that the ad ends up not in the title with the best audience profile or which boasts the most robust circulation, but in the title that has offered the best deal to the media buyer (which then collects its bonus). This market distortion has an ironic multiplying effect, given that most national newspapers are in the grip of structural circulation decline: the strong get punished, while the weak get weaker. Murkier still is the incentive, a media-owner inducement which is often offered in addition to the negotiated discount. It may come in the form of cash, or free insertions/airtime. Strictly speaking, it should be remitted to the client, although that is far from always the case. Airtime barter may be illegal in the UK, but it is often difficult to audit who has used this extra airtime/pagination and for what purpose. An extreme example of what can go wrong when the client and senior agency management let their eye slide off the ball is provided by the Aleksander Ruzicka affair. Ruzicka was the president of Aegis’ German operation; but he is now spending 11 years in jail. The reason? He and several co-conspirators clandestinely siphoned TV airtime credits, which should have been remitted to the client Danone, into their own television sales house – where they were sold on for their own profit. However, many clients are milder than Danone, which eventually decided to extract its pound of flesh in court: they simply take the view that incentives are a perk of the job, and would rather not know what is going on. They are not necessarily wrong to do so. As long as the system broadly delivers value, why worry about its flaws? Besides, it’s often difficult to determine the difference between what, from a media owner’s perspective, is simply a “loyalty payment” lubricating the wheels of business and an unvarnished bribe. The belief seems to be that the auditing system will expose any systematic skew in buying behaviour, and therefore acts as an effective suppressant of corruption. As it happens, Ofcom’s terms of reference do not seem to encompass the principle of the discount. Siobhan Walsh, who is leading the 6-month investigation, will instead concentrate on whether pooled buying by the big operators (“share deals”) restricts choice for planners (who select the best audience profile for their client) and shuts out the smaller buying specialist. The danger is that the investigation finds sufficient cause for concern to warrant involving the Competition Commission. Who knows what worms will crawl out if the CC launches a full TV ad market review? Nor, I suspect, will the repercussions be restricted to the TV market.